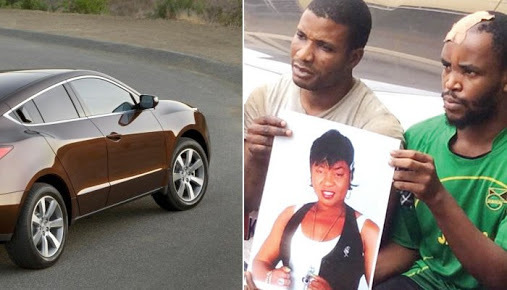 The two suspects arrested for allegedly killing a mother of four, Charity Aiyedogbon, have taken police detectives to Kagini, a satellite community in the Federal Capital Territory, Abuja, where their victim was murdered. Her 'boyfriend' Paul Ezeugo and his accomplice, Emmanuel Adogah, led detectives to the crime scene on Saturday where more evidences were gathered. The FCT police spokesman, Anjuguri Manzah, told Punch that the investigation was almost concluded, adding that the case file had been sent to the legal department. “The suspects took our detectives to the crime scene last weekend where more evidences were gathered. They have recorded great progress in the investigation, the case file has been sent to our legal department, so the suspects would soon be arraigned in court,” he explained. Aiyedogbon, 44, who went missing on May 9, 2016, was found to have been murdered and her body cut into pieces, stuffed in bags and dumped at a river bank in Ushafa, a sleepy community about 40 kilometres from her residence in Wuse, Abuja. But following investigation, detectives attached to the FCT Police Command tracked her phone and subsequently discovered her Acura ZDX Sports Utility Vehicle where it was hidden in Enugu. The FCT Commissioner of Police, Sadiq Bello, stated that Ezeugo confessed to have killed the woman who he said was his girlfriend. “Ezeugo further confessed that he killed her because he wanted to take possession of her Acura ZDX SUV and other properties. The deceased’s car and some of her properties have been recovered from him,” Bello stated. Ezeugo in an interview explained that he killed the woman with a cutlass, adding that it was greed for money and her SUV that made him kill her. “It was the devil and greed. I was hoping to get her car. I dated her for one year but she didn’t give me anything, she told me she was a divorcee when we met,” he said.